Every child is different as is every spica cast. 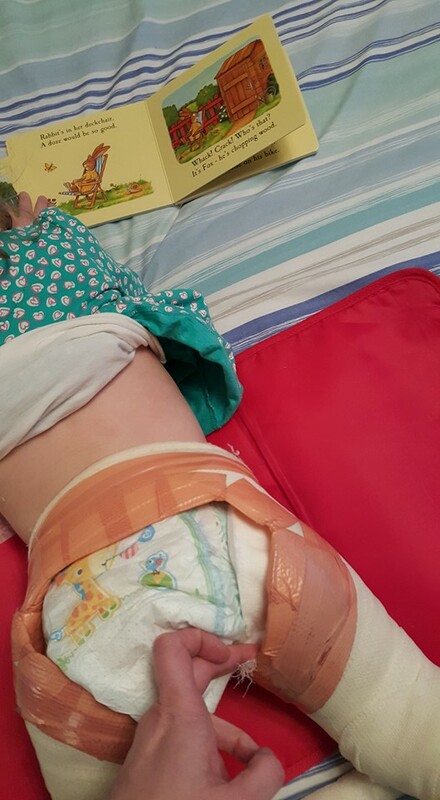 Changing nappies, and keeping your little one dry can seem daunting, but we all find a way that works. 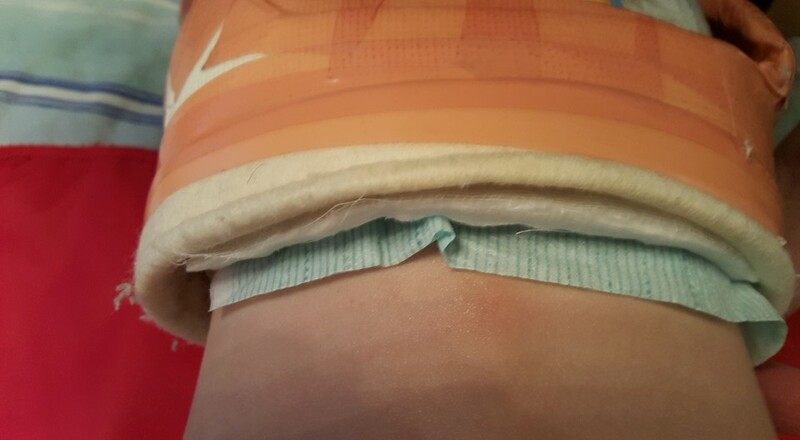 One Spica Warrior suporter, Rachael, has shared her nappy changing routine with step by steps photos which we hope will be helpful to you and your family. 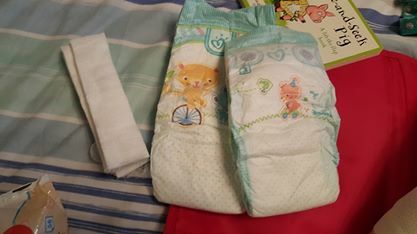 We use Pampers Baby Dry size 3 inside and any size 5 outside during the day. At night we use Pampers Baby dry size 5+ outside. This everything ready. 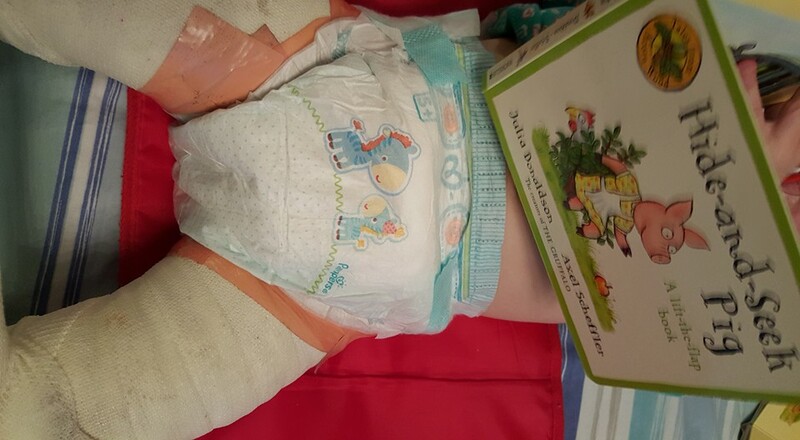 Size 3 nappy with tabs cut. Gamgee cut into strips. 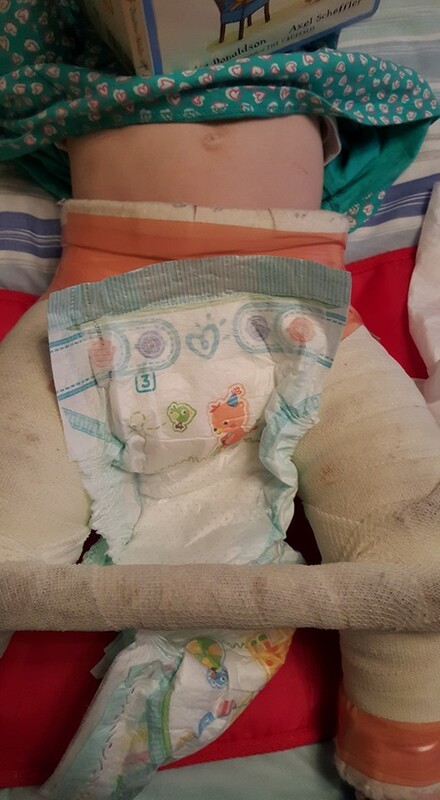 Put the smaller nappy in place. Then push the top up through the cast. And pull out at the top. Ensuring it is flat and not curled up (this was corrected after photos). Stuff the sides of the nappy in. Taking care the get the lining in properly. Tuck the back of the nappy in and pull up the top. For night-time add a strip of gamgee to the top. 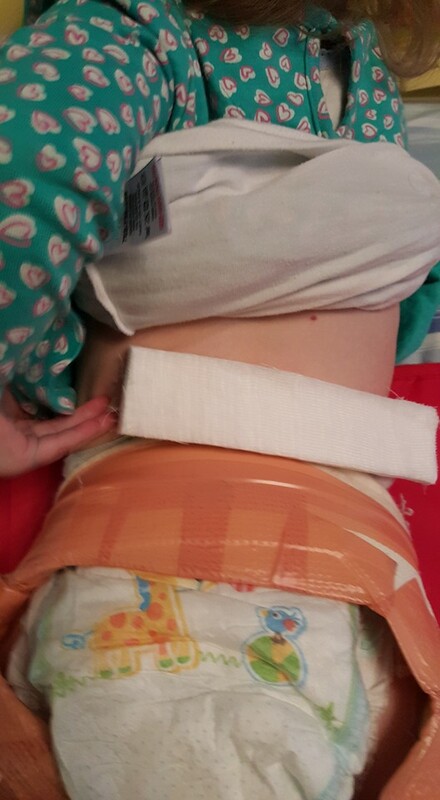 This will help with pressure/padding and to stop leaks. Gamgee between nappy and cast. 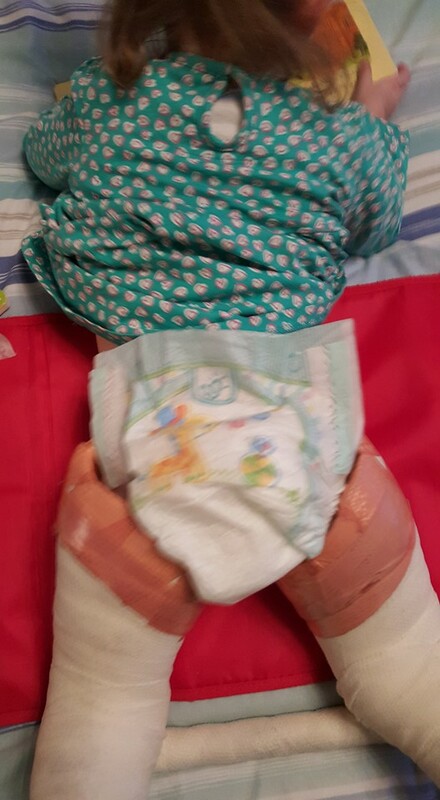 Make sure the lining of the nappy is secure then put a strip of gamgee down the side of the nappy. Plug the gap for extra protection and comfort. Flip child back over. Check the front of nappy and the top. Then place bigger nappy underneath your child. 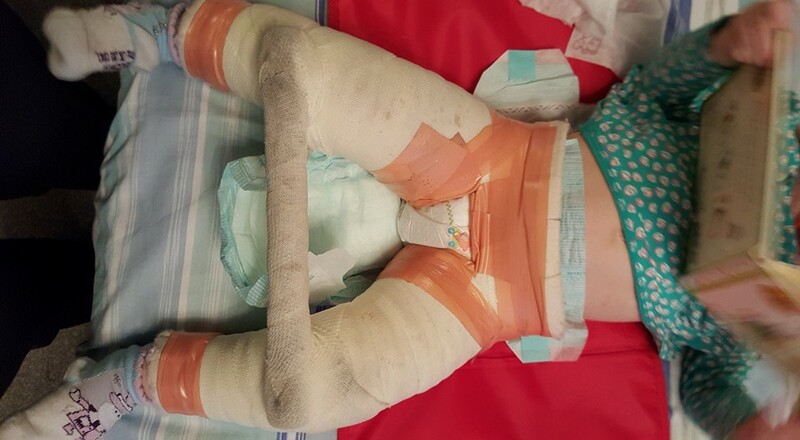 Secure nappy over the cast. If you have any questions please drop me a line or if you have suggestions let us know.